Turning 65 in St George, Utah? Need an ACA Marketplace Health Plan? Are you moving to St George Utah? Get the RIGHT Plan at the RIGHT Price Right Now. 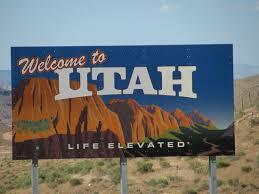 St George Utah has become a very popular retirement destination over the years. Yet with all the population growth, St George has still maintained much of its small town charm. St. George is located in the Southwest corner of Utah only 8 miles from the Arizona border along I-15. Only 90 minutes from Las Vegas, this beautiful retirement community is adjacent some of the most attractive mountain and recreational areas in the country. The surrounding red-rock terrain is stunning and Zion National Park is a short, scenic 30 miles drive to the northeast. Surrounding areas offer extensive recreation opportunities, including golf, and hiking. St George residents even enjoy snow skiing in the nearby Brianhead Ski Resort just over an hour up I-15. Yet it rarely snows in St George - and when it does it is gone in minutes. The warm winter weather is one of the main attractions to this beautiful retirement community. St George, Utah. Senior Insurance Agent Greg Davies has been helping Utah Residents find the Right Health, Medicare, Life & Retirement plans since 1997. When you make the decision to head to St George Utah, you often are eligible to pick a new insurance plan based on your "SEP" or Special Election Period. Whether you have lived here for many years or just arriving, Greg Davies wants to be your Insurance agent. ACA Health Insurance Marketplace plans - During the AEP Annual Enroolment from Nov 1 - Dec 15 as well as SEP Special Enrollment Periods throughout the year. There are so many things to love about St George, Utah. This small town is growing up into a vibrant medium sized city. The growth has been noted on the national stage, but somehow the area retains that small town feeling. There are so many parks in St George! Whether you are a family with small children, a couple or are single, the parks in St George are awesome. Not only do these parks have the typical grass and playgrounds but many of them have splash pads and shaded play areas. The new Thunder Junction has a splash pad and kids train, Town Square which has a splash pad, wading stream, and the children’s museum. Located closer to our house are the Hidden Valley Park and Little Valley parks both of which also have splash pads. St George has miles and miles of trails. Natural and paved trails for walking, biking, skating, and anything else you could do with a trail. Here is a map to give you an idea of just some of what’s available to explore. 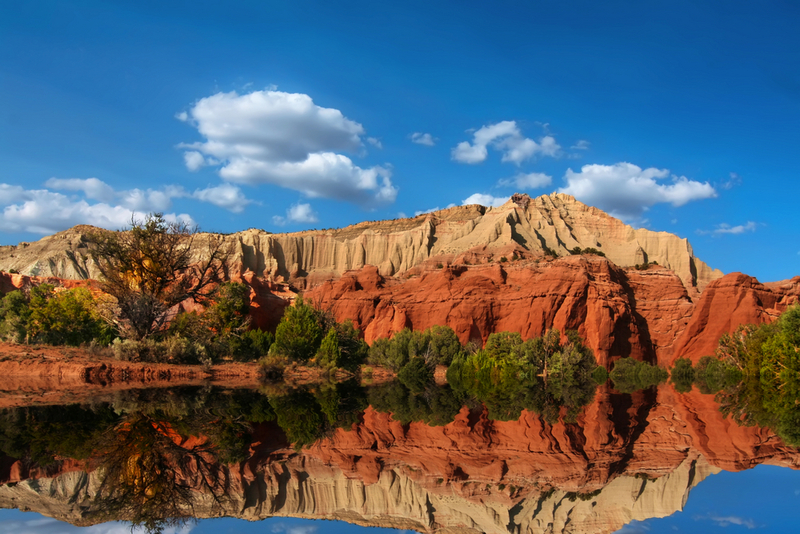 Southern Utah is known for world class entertainment with attractions such as Tuacahn in Ivins, the Shakespeare Festival and Neil Simon Festival in nearby Cedar City. Art Galleries are everywhere. Live theater companies provide great entertainment in St George, Washington, Springdale and Cedar City. 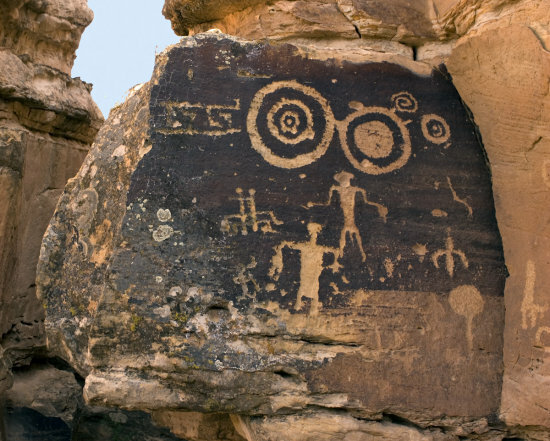 As one of the first settlements in Utah St George is rich with Pioneer history. Some interesting places to visit are the LDS Temple and visitor center, the Brigham Young house and the Daughters of Utah Pioneers. Dixie State University is growing up! No longer a minor junior college, Dixie State now boast the title as one of the fastest growing schools in Utah. With that growth comes state of the art facilities just announced that will enhance the community. Golf, Golf and more golf. And did I tell you there is golf also? Of course you can’t talk about St George without talking about Golf. 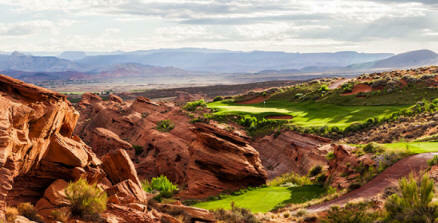 There are at least 15 golf courses in Southern Utah between Cedar City and St George. Likewise, just a 30 minute drive south to Mesquite NV offers an additional six courses. So if Golf is your thing, you’ll have plenty to do here. Cycling - the trails in St George are incredicle. Paths connect through the whole area and must be riden to be appreciated. Pickleball – Thousands of people are discovering St George through Pickleball. Efforts by local residents and city government to expand pickleball courts and tournaments in the area are leading St George to become recognized throughout the country as a major hub for this up and coming sport. St George Marathon - This annual event in October is world renouned and is a favorite on the marathon circuit. St George Senior Games - Second to none, the Senior games in St George brings seasoned athletes from around the world to compete in this unique world event. Snow and Ski — Just 30 minutes above Cedar City is the Brian Head Ski Resort that is know for great skiing and breathtaking views. Dixie Regional Medical Center $300 Million Expansion - For being a medium sized community, St George has an incredible hospital. My clients in Mesquite usually ask me what plans would allow them to go to St George for treatment without having to head to Las Vegas. With numerous awards, Dixie Regional Hospital has grown to a world class facility. They are in the middle of a major expansion that will triple the size of the facility and add a neruological trauma center that will be the best in the area. Hundreds of doctors and specialist of every variety are found in the networks. We currently have 3 Medicare Advantage plans in St George, Utah which is 2-3 more than most of Southern Utah! The health plan options are increasing each year as the population requires. You just have to see it to believe it. There is nothing like the Red Rock, Blue Skies of St George. This is one of the best features. Not as hot as Las Vegas, but very mild winters. Occasional snow, but very rare. Usually is gone withing minutes if it comes at all. Most people can get away with shorts and t-shirts year round. Palm trees and sunshine is what St George is known for. We can help you get a health plan on or off the ACA "ObamaCare" Exchange. We help you apply for the subsidy and pick the right plan. Is an MAPD right for you? We can get you all the information you will need to make that determination. Picking the right PDP is very important. We carry all the major plans in the market. Call us today to see if you qualify. The Medicare Plan F from Regence Blue Cross Blue Shield and the AAPR Medicare Plan F cover all of your Medicare Needs. Picking a plan that is "On Exhange" means you can access the Federal Health Insurance Marketplace and possibly qualify for a subsidy. 401k Rollover, IRA, Annuities - We have all the tools to help you build your nest egg, and then preserve it for retirement years. Choose a Medicare Health Insurance Plan or "Medicare Advantage" Plan to get low premiums and copays. These are PPO & HMO plans for Medicare Beneficiaries. Let us help you pick the right Life Insurance Option for you and your family. Term, Whole Life, Universal Life... We will sort it out for you and get you the plan you need. When you don't qualify for a subsidy, you might be able to pick a plan "Off Exchange" that is not available to you otherwise. But remember you won't get a subsidy "Off Exchange."